1. Go to Yoga classes at SRI. 2. Shop at Amazon and list us as your choice for charitable support. 3. Shop at Fry's and list us as your choice for charitable support. 4. Simply click the "Donate" button and give. Our community garden requires time and attention to be productive. We are in need of some volunteers to tend the garden, particularly during the harvesting seasons. Our community garden feeds the needy. Our organic produce goes from the earth to the mouths of the hungry in as little as 24-48 hours. We collaborate with other nonprofit organizations to facilitate this exchange. If you have donations of time, energy, seeds, or (certain) compost materials that you would like to give, we are happy to include you in the fun. Even the smallest donation helps. We are offering you a yoga class as a gift when you donate $9 or more to Sustenance Research Institute at class time. You can help us further by subscribing to our newsletter and by spreading the word about our social change movement. Your donation to SRI is a charitable contribution to a local nonprofit organization. In appreciation for your donation, Heather Promise, on behalf of Sustenance Research Institute, offers you many weekly yoga classes. All levels of fitness are welcome because Yoga meets you where you are in mind and body. Your donation supports the ongoing efforts of Sustenance Research Institute to promote sustainability at the most local levels through science and education. We have designed a brilliant mindfulness program for elementary age children. Your charitable contribution will ensure a diversified education for the kids in our community, making a better future for us all. 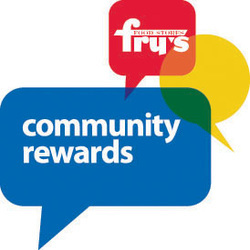 Read more about Fry's Community Rewards.